Located in the eastern most part of the State bordering Myanmar, and having a total Area of 1255 sq. kms, Kiphire district is 254 km away from the Capital city Kohima. Wedged between Saramati, the highest mountain in the state and the Jingkhu mountains, Kiphire is located at an elevation of 896.42 meters above the mean sea level. On the whole, the climate is humid and hot during summer and cold during winter with winter temperature touching a low of 2.7 ° C and a high of 37.0 ° C during summer. Monsoon period extends from June to September and sometimes up to October. The average rain fall for the last three years is 876 mm. Kiphire is multi-ethnic in terms of its indigenous population. There are officially three recognized tribes – Sangtam, Yimchungrü, and Sümi. Besides these, there are several sub-tribes speaking various languages. 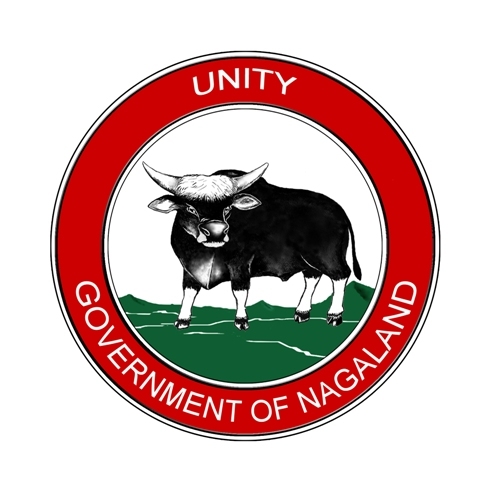 As in the case with other Naga groups, each of these diverse ethnic groups is distinguished by their distinctive language. Owing to the many generations of co-habitation, all these ethnic and linguistic groups understand each others’ language and the people often converse interchangeably. Though there are variations in the details of the various cultural practices and customs among the tribes of the district, on the whole, their society is organized along similar structures. Although the people are largely Christian, with the Catholic and the Baptist churches having a strong presence in the district; their traditional festivals are still observed but with touches of Christian elements. The important festivals celebrated in the district are Mongmong observed by the Sangtam during September; Metümnio observed in the month of August by the Yimchungrü and Tuluni observed in July by the Sümi. All the three tribal communities have close social and cultural affinity with their counterparts in the districts of Zunheboto and Tuensang. The Sangtam and the Yimchungrü tribes of Kiphire and Tuensang district have a shared history and culture with their respective counterparts. Similarly, the Sümi of Kiphire district also shares similar socio-cultural ties with the Sümi of Zunheboto district. With the majority of the people living in the rural villages, agriculture remains the main occupation of the people of the district. The primary mode of agricultural practice is jhum, also known as swidden or slashes& burn method of cultivation. The main crops grown in the jhum are largely traditional crops such as upland rice, maize, millet and jobs tears and varieties of beans. The farmers are slowly taking to growing cash crops such as potatoes with encouragement from the Agriculture department. Also traditional crops such as soy beans, local varieties of bean called ‘Kholar’ (PhaseolusSp) is grown as cash crop using traditional methods. Farmers are also taking up permanent paddy cultivation in terraced fields in favourable terrains. The general climatic condition of the district is also favourable for horticultural farming. In colder regions such as the foothills of Saramati Mountain, apples are grown in abundance. Such that, ‘Apple Festival’ has become an annual fixture in Thanamir, a frontier village bordering Myanmar. Other fruits like orange, mango, guava, and banana are also grown abundantly. Kiphire is located in one of the most geomorphologically interesting zones of the state. There are a number of topographical features such as Saramati peak, Stone cave in Khongjiri, Mimi and Salomi villages which never fail to amaze the visitors. Trips to Zungki, Tizu and Likhimro rivers, mining locations in Pokphur and adjoining areas, Fakim Wild Life Sanctuary, proposed International Trade Centre at Mimi and Likhimro Hydro Project also holds its own unique rewards for the outdoor lovers. A number of traditional houses with stone slates which are rare sights in other parts of the State are seen in Phuvkiu, Mimi, Pongren, Phelungre and Pungro villages. A good variety of Orchids like Blue and Red Vanda, white, red and yellow Rhododendron which are not commonly found in other parts of the State are also found in Saramati and Jingkhu mountains. Blyth’s Tragopan (Tragopanblythii), Hornbill, and hill peacocks are among some of the attractions of the wild life in Fakim Wildlife Sanctuary.